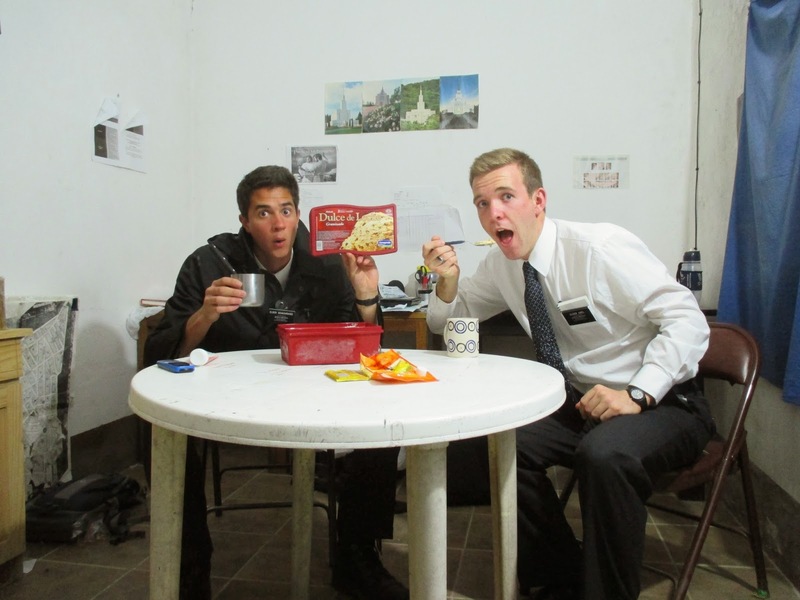 Elder Taylor Bradley Abel: #LDSCONFISLIFE! How are you wonderful people? If you are asking yourself if I really just used a hashtag as the subject.. the answer is yes... and yes I am still totally hip, don´t you even worry! How are you wonderful people? We had a Zone Training on Tuesday which was really good. Before that we had interviews with President Smith. We had the opportunity to teach him the doctrine of Christ. Of course I was first! I was nervous because I had never really taught in Spanish alone, but it worked out and I learned a lot from President about the Doctrine in those short 10 minutes. It was a really good experience and it is always good to see President. Our mission is actually opening up in parts of Brasil and Argentina.... pretty awesome! The next big thing for the week was divisions with the AP and it went great. His name is Elder Bulloch, he is from STG and went to Snow Canyon. He only has one more change after this one. Our change ends on Oct 22. They started late in the night on Wednesday and ended Thursday night! It couldn't have been better. 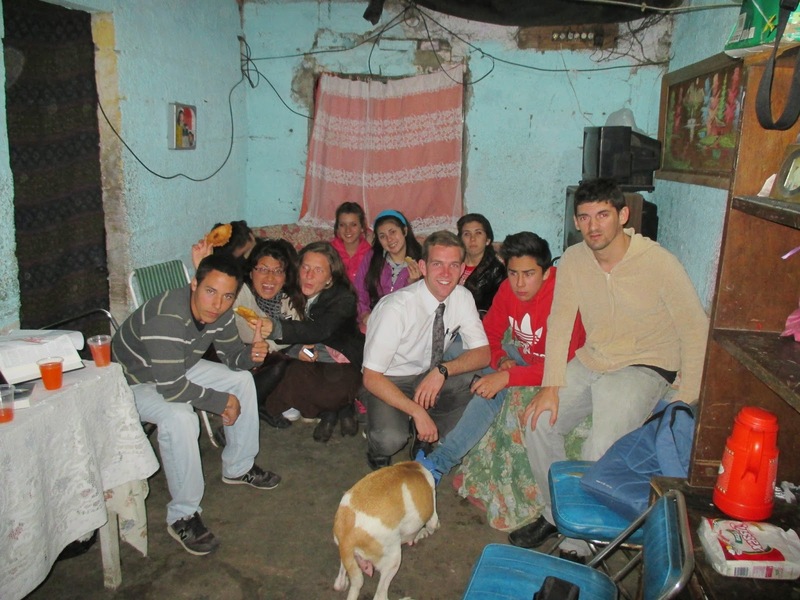 I was nervous because it was the AP, but I then learned pretty quick that he is like any other missionary so I didn't really worry too much. The morning came and we went for a run, we only ran 2.5 Kilos and he said that it was probably the most he has ran on his mission. That didn't really give me too much hope for the rest of my mission and running... but oh well, I will force my comps (; We had a very successful day and he is a really good missionary. I learned a lot from him. He is a really neat guy. It was cool to end the night with telling each other what we liked and what we thought would make each other better missionaries. He gave me a lot of confidence with his generous feedback. What a great experience for a newby.... I am a lucky fellow. The next big thing and the most important thing from this week was CONFERENCE! Can I get what-what for the words of the Prophet and Apostles? (: What an incredible conference! I had the opportunity to watch all the sessions and even in English! Amazing! 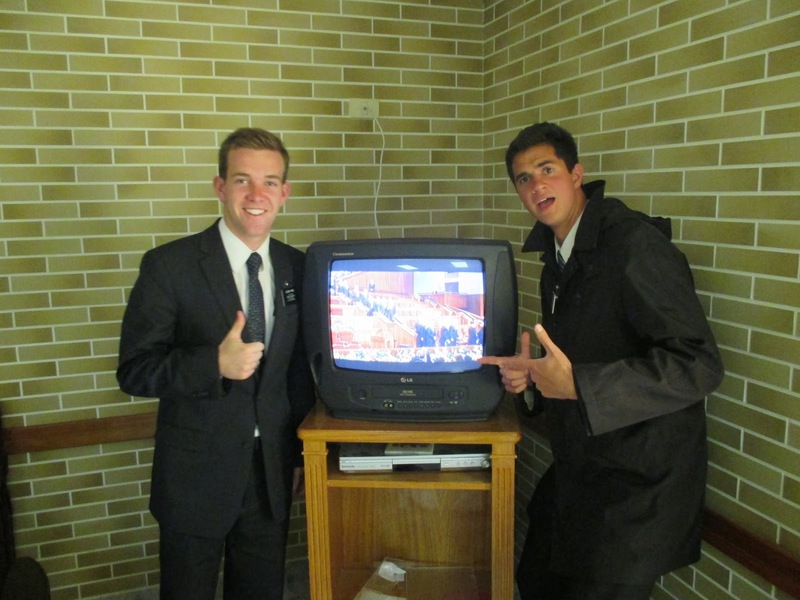 We had a gringo room in the stake center with a little TV for us Americans! I really enjoyed all the talks. They were all inspired from God. I wrote down some questions that I had the morning before conference started and every single one was answered....INCREDIBLE! Some came faster than others, but they all came. My favorite talk was either Holland, Scott, or Bednar. I would dare say that I liked Holland's most. It was absolutely amazing as with his humble spirit, he talked about how he has never been poor, but how important it is to help the poor and those in need.... soooo powerful. There was a lot about Prophets and personal revelation. It was really neat. I loved it and I can't wait to get the Liahona and read all the talks. I took notes and notes but nothing is better than the actual words of the living prophet and apostles! I also enjoyed Uchtdorf's talk from the Priesthood Session, "Lord, is it I?" Man.. I just loved them all. I don't know why I never watched all the sessions before! Goodness.... I missed out! I am doing good! (: Delta is safe and all is well. I hope during this week you see the little miracles of everyday life, and that you experience true happiness! I love you all so much and I miss you too. I will share one of my questions that I had and the answer that really touched my heart. My question before watching conference was, "Will me and my family still be close when I get home?" The answer didn't come until the last 5 minutes of conference when our beloved Prophet stood up and ended the conference. He said something straight to me.... "May we all return home, and find all in order." It struck me. It makes me want to cry. The church is true. Thomas S. Monson is the prophet of God and he leads and directs the church with the help of Jesus Christ and our Heavenly Father. I am so grateful for this Gospel and its many blessings. I sure love you all so much! Keep smiling and keep being amazing!